Because at Tom’s RV Service and Supplies Ltd our Certified RV Gas Technicians will work smart and hard to make sure that you and your loved are safe during your RV adventures! Propane system leaks and malfunctions can be very dangerous. The general recommendation is that once a year you should have your RV’s entire propane system inspected for leaks, rust, and proper regulator pressure settings. The inspection should include all propane-powered appliances such as the stove, refrigerator, furnace, hot water heater, and propane powered generator, etc. Let a Certified RV Gas technician at Tom’s RV Service and Supplies Ltd give you some peace of mind that all is good with your propane system! A Certified RV Gas technician at Tom’s RV Service and Supplies Ltd can conduct the repairs necessary to bring your propane system back into compliance with the BC Safety Authority regulations. 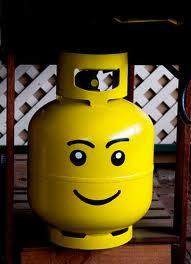 We can also repair your propane appliances! Visit our store at 894 Van Isle Way, Langford and browse our full selection of propane related accessories. Can’t make it into our store? Then visit our online store and shop from the convenience of your own home or RV!